Any car accident can be traumatic. If it was a serious accident or one in which you or others were injured, it can be especially a matter of concern, not only for the damage to your car but for your health and the consequences for your future well-being. If the accident was not your fault and you suffered an injury, you are entitled to damages for the losses you sustained. Although an injury claim may not be your first priority immediately following an accident, there are some things you can do to protect yourself and to maximize your chances to collect the compensation to which you are entitled. The following are 8 things to do after a car accident. 1. Make sure that your passengers or those people in the car with which you had the collision are safe or not injured. If there is an injury, immediately call 911 or ensure that someone else does. 2. Do not move your car unless it poses a hazard to yourself or others. If the other driver moves, make a mental note of where the car was located. If you can, use your cell phone or other available camera and take multiple photographs of the damage to your car, the other car and of the scene itself. 3. Do not discuss the facts of the accident, or who was at fault, with anyone. When police arrive, give them the facts regarding time, distance, speed and observations. If witnesses are at the scene, get their names and contact information – many times this is your only chance to get this information as eye witnesses often leave once emergency personnel arrive. 4. If you feel at all injured, seek medical treatment. This is not the time to act brave since the defense or defendant insurance company will claim you were either not injured in the accident or your injuries were minimal since you refused treatment. 5. Call your insurance company and get a property damage estimate. The other party, if liability is accepted, may be responsible for your property damage. You can get other quotes if the damage figures are not satisfactory. File the appropriate form with the Department of Motor Vehicles if your property damage is more than $750. 6. Do not talk to or give any statements to the other party’s insurer. Many injured people feel they can handle their own injury claims, however, may unwittingly give erroneous information or will exaggerate or minimize their injuries, or fail to disclose something that may seem innocuous at the time but which will be used by the defense adjustment as a basis for giving you a low settlement offer or to deny liability. That insurance adjuster will likely mischaracterize your statement. 7. Seek immediate medical treatment after a car accident. Delaying treatment because you feel that your headaches are not initially serious or you feel your back or knee can be treated with ice and aspirin can seriously jeopardize your claim and could lead to more serious symptoms. The longer you delay treatment, the more skeptical the defense insurer is about the nature and extent of your injuries. The longer you wait, the less likely an insurer or trier-of-fact will see a link or connection between the accident and your claimed injuries. You may also be entitled to future medical expenses and earnings but you will need expert testimony to support your claim. 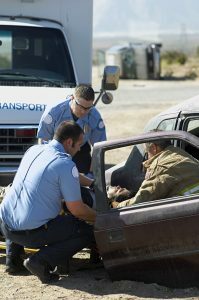 Your car accident attorney will know what experts are needed and how these issues should be handled. Neil Burns is a Boston car accident lawyer who has handled numerous auto accident claims and frequently recovers the maximum compensation to which his clients are entitled. He will handle all aspects of your accident claim and ensure you receive the proper medical care, see that your medical provider’s fees are appropriately handled and resolve any insurance issues. His office will obtain all relevant documentation for your claim and present a professional settlement package while negotiating for your deserved compensation. Call his office today at 617-227-7423 for a free evaluation.